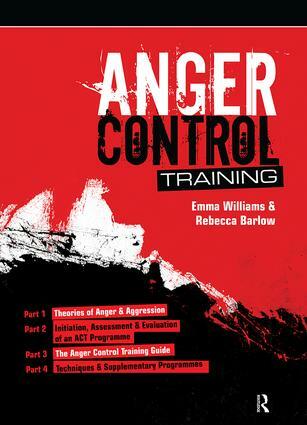 This training manual addresses the need for a practical and easily accessible guide for professionals working with people presenting with anger problems. It is intended for use by psychologists, OTs, psychiatric nurses, probation officers, psychiatrists, social workers and teachers. This training manual offers a wealth of photocopiable material, including client handouts and facilitators guides. The appendices contain materials for role-play and relaxation. "Anger Control Training" is a comprehensive programme using a cognitive-behavioural approach and designed for the professional to help people change their thoughts, feelings and behaviour.